Studies at Goldsmith College in London and a professor at the University of Technology of Compiègne where he teaches philosophy. Before taking up the post at the Pompidou Center, he was program director at the International College of Philosophy, Deputy Director General of the Institut National de l’Audiovisuel, then Director General at the Institut de Recherche et Coordination Acoustique/Musique (IRCAM). 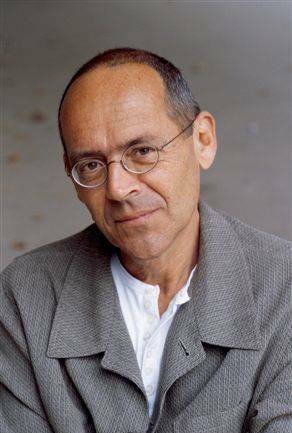 Bernard Stiegler has published widely on philosophy, technology, digitization, capitalism, and consumer culture. Among his writings, his three volumes of /La Technique et Le Temps /(English Translation: /Technics and Time/), Acting out, translated by David Barison, Daniel Ross, and Patrick Crogan, Stanford University Press, 2009, two volumes of /De La Misère Symbolique,/ three volumes of /Mécréance et Discrédit/ and two volumes /Constituer l’Europe/ are particularly well known. Professor Stiegler has a long term engagement with the relation between technology and philosophy, not only in a theoretical sense, but also situating them in industry and society as practices. He is one of the founders of the political group Ars Industrialis based in Paris, which calls for an industrial politics of spirit, by exploring the possibilities of the technology of spirit, to bring forth a new “life of the mind”. He published extensively on the problem of individuation in consumer capitalism, and he is working on the new possibility of an economy of contribution.